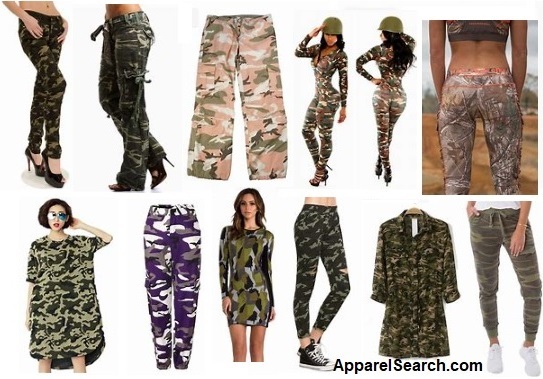 Welcome to the worlds greatest guide to women's camo clothing. Can you see us? Probably not because we are wearing camouflage prints. Is America in the middle of a camo print craze? Or possibly camouflage one of those prints that will always be in style. Physically, clothing serves many purposes: it can serve as protection from the elements and can enhance safety during hazardous activities such as hiking and cooking. It protects the wearer from rough surfaces, rash-causing plants, insect bites, splinters, thorns and prickles by providing a barrier between the skin and the environment. People can wear camo clothing if they wish to try and stay undetected or simply wear if for fashion & style purposes. Camouflage is the use of any combination of materials, coloration, or illumination for concealment, either by making animals or objects hard to see. Clothing (also known as clothes and attire) is a collective term for garments, items worn on the body. Clothing can be made of textiles, animal skin, or other thin sheets of materials put together. The wearing of clothing is mostly restricted to human beings and is a feature of all human societies. The amount and type of clothing worn depend on body type, social, and geographic considerations. What ever you are wearing today is perfect. 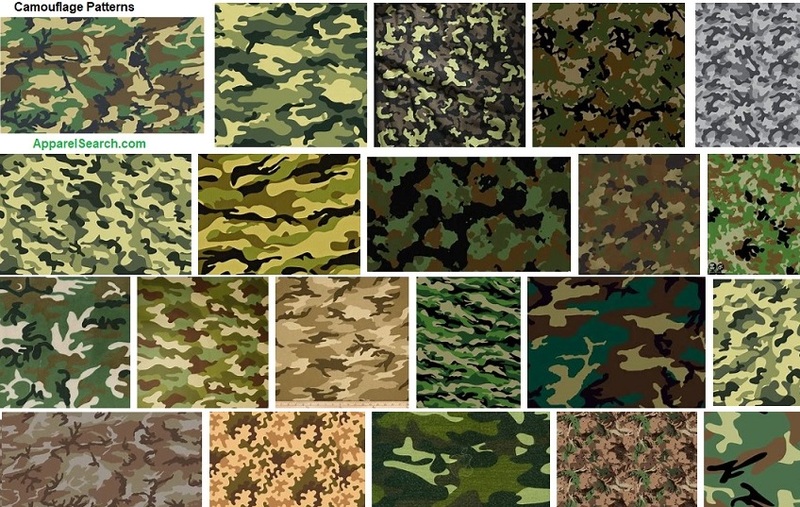 Military camouflage is the use of camouflage by a military force to protect personnel and equipment from observation by enemy forces. Textile patterns for uniforms have multiple functions, including camouflage, and identifying friend from foe. Women's Clothes Directory: A B C D E F G H I J K L M yes, we have more.